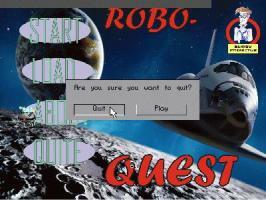 In "ROBO-QUEST 2009" you control the robot Sparky. He went off on another planet, but the evil aliens, his ship was hit, and he found himself in another area. Your task is to help get to administration of the planet.